We’ve watched the farmers of Nyampinga—almost all of whom are women—work tirelessly over the years to revitalize their coffee production. Through a partnership between Bloomberg Philanthropies and Sustainable Harvest Inc., these farmers have received training in agronomy, market access, and quality control. As a result they have vastly increased their income through coffee, as well as the quality and yield. 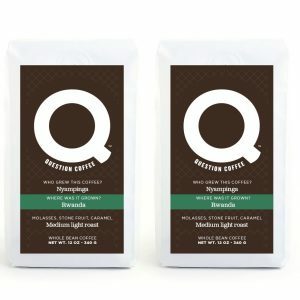 Nyampinga is now selling this coffee on the international market, allowing us to share it with you for the first time. 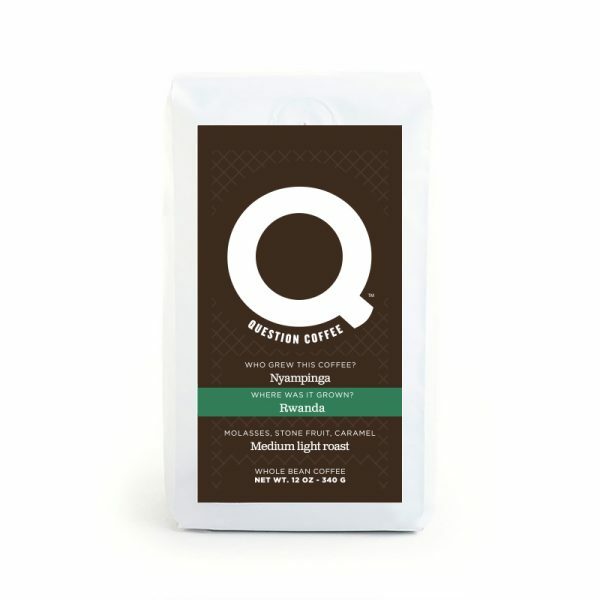 It’s worth the wait—this is a fruity and chocolaty cup that we roast medium light to bring out its complex flavor.